"The carpet is the soul of the apartment." The carpet is one of the oldest house items of all time. For hundreds of years the originally from natural resources handmade home textile decorates our living space. With the Natural Collection, nanimarquina goes back to those roots. Founded 1987 in Barcelona, ever since then nanimarquina dedicates itself to traditional carpet art. To express the beauty of this tradition and nature, the Natural Collection only uses natural materials, like wool, silk, jute and nettle, lovingly hand woven into unique carpets. Nanimarquina travels to many countries, in which the carpet still has a special symbolic meaning and where the history of the origin and production are woven into the cultural history of the country. 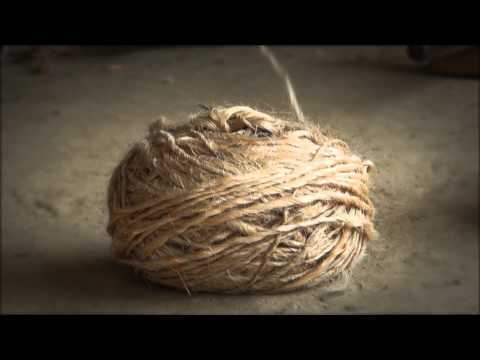 With knowledge of traditional production methods and tools, every carpet is elaborately handmade. To obtain the beauty of nature, nanimarquina bets on especially environmentally friendly manufacturing processes, like the eco-washing of the carpets with exclusively ecologically compatible cleaning products. Furthermore, the carpets are made under the social framework conditions and the Care&Fair philosophy. That’s how it’s guaranteed that the production does not involve any child labour. Until today, nanimarquina stands for unique carpet art, traditionally manufactured. The unique pieces combine modern design with traditional carpet craft. The Spanish designer Nani Marquina about the collection: The intrinsic beauty of the natural fibres connects us with the natural world. These fibres, of organic origins such as nettle and jute, or of animal origin such as silk and wool, have been specially selected to create this collection of carpets and to reflect the plurality that nature has to offer. Nani Marquina After her design studies, Nani Marquina founded the Spanisch textile company nanimarquina, which devotes itself to the multi-facetted carpet art. Handmade carpets under Fair&Care conditions.